1876 Sweden One Krona Coin Grade XF. 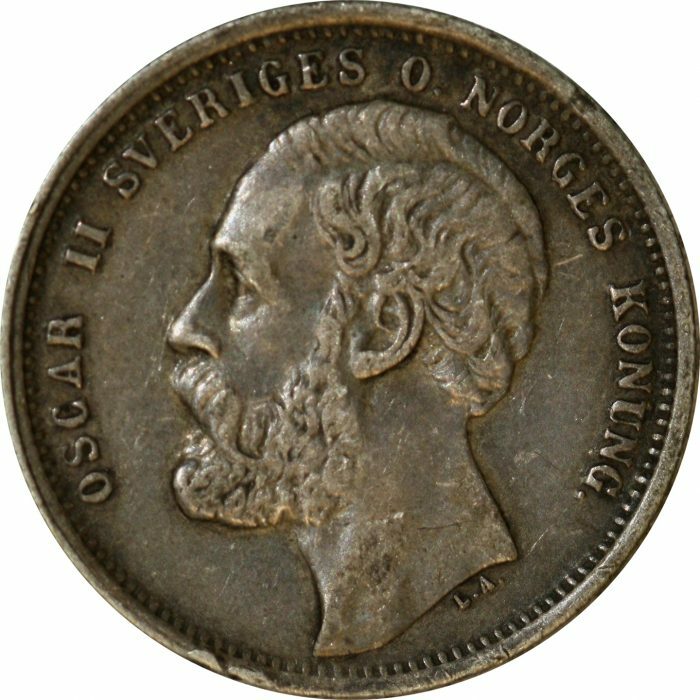 Obverse: Head left: OSCAR II SVERIGES. Reverse: Crowned arms with supporters, value above, date below.